Longwood Brewery out of Nanaimo, BC has released the third installment of their small batch series, the Elijah Bourbon Barrel Aged Stout. 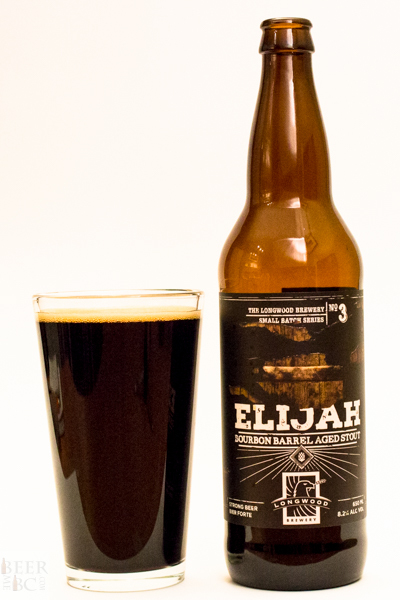 The stout was aged for six months in Heaven Hills Bourbon barrels, creating a surprisingly mellow mix of smoky, oak and roasted malt. 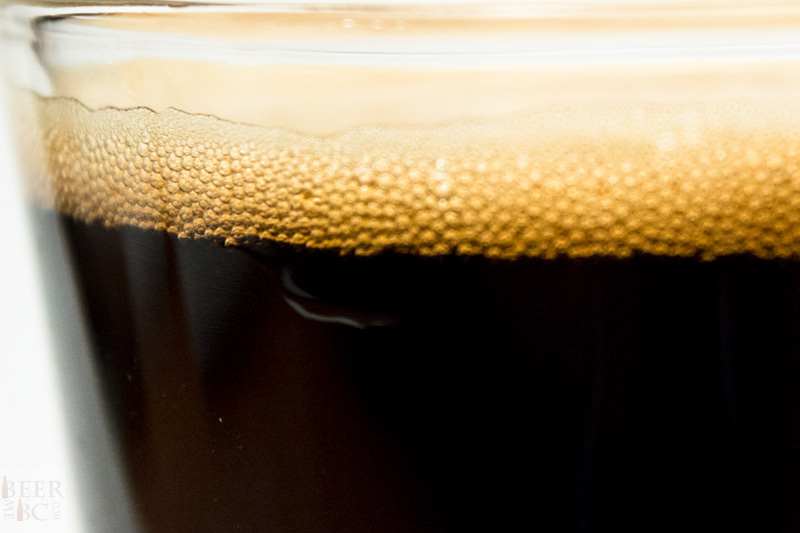 The beer pours from the 650mL bomber bottle an opaque black, so dark that the beer seems to draw light into it. 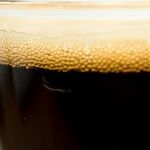 Upon pouring, the beer settles in the glass with less than a finger of quickly dissipating, light brown head. 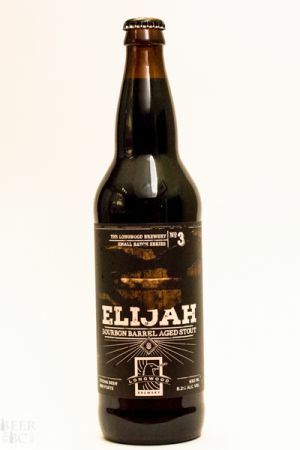 The nose is of bourbon, oak and smoke all imparted through aging in barrels, with a faint boozy smell that accompanies a hint of roasted malts. Sipping the beer, flavours of burnt toffee dominate but are followed quickly by a bitter and rich dark chocolate. 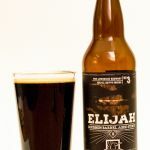 The beer feels very round and full in the mouth and the chocolate gives way to bourbon, a hind of licorice and a slight boozy and bitter finish. At 8.2% this is a big beer, and it is definitely one to savour and share. In spite of this, the alcohol is present, but not as prominent as you might expect making the overall result incredibly enjoyable.